Today is publication day for our July releases, but also the day where we share with you a first look at some of the incredible new artwork featured in our upcoming books. Below are three stunning plates from our October books, Imjin River 1951, Chinese Soldier vs Japanese Soldier, and Dornier Do 335, take a look below and let us know which is your favourite! This first plate from Dornier Do 335 depicts the massive, menacing form of a long-range Junkers Ju 635 maritime reconnaissance aircraft of FAGr.5 shadowing convoys for the U-boats in late 1946. 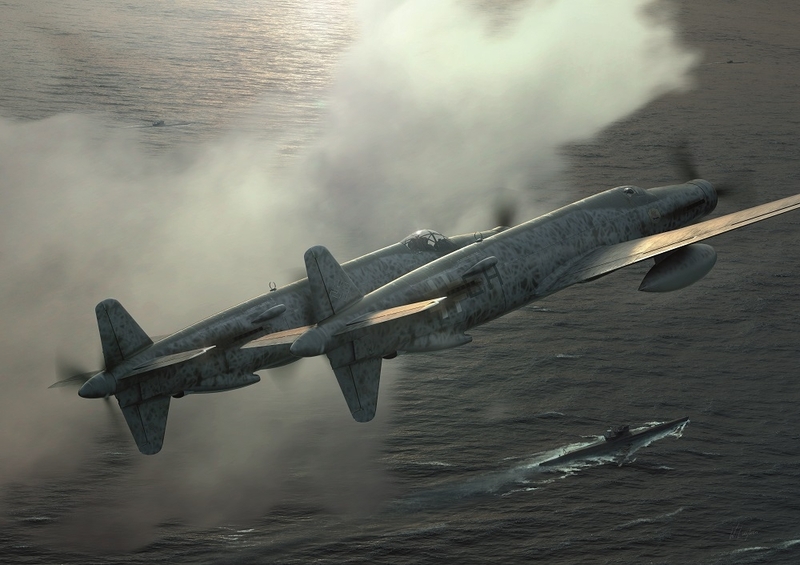 Here, the Ju 635, which was essentially the ‘Zwilling’ (‘twin’-fuselage) concept for the Do 335 under Junkers management, conducts a rendezvous with a U-boat ‘pack’ prior to a convoy strike. This next plate from Imjin River 1951 depicts the Chinese 187th Division's crossing of the Imjin on 22 April 1951. Here, Lt. 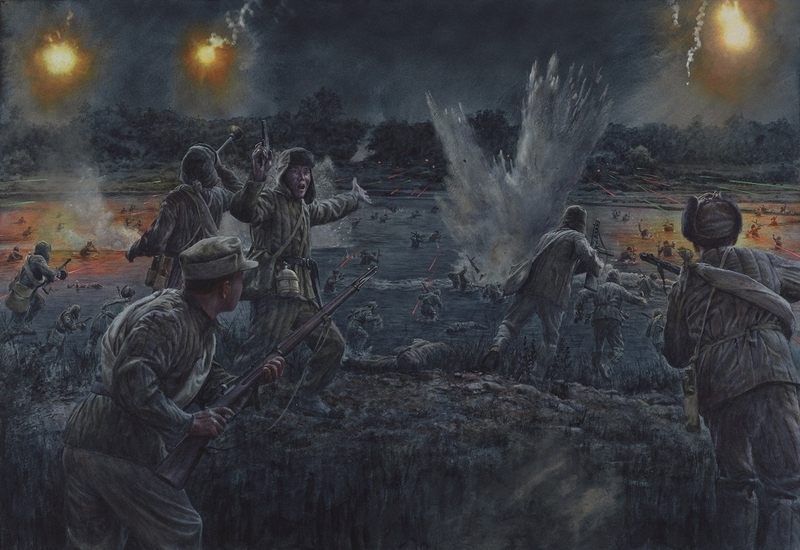 Guy Temple's patrol occupy a series of slit trenches near the riverbank, and pour machine-gun and rifle fire into the oncoming Chinese forces. Despite their accurate and lethal fire, Chinese troops manage to cross in numbers and mass on the south bank of the river. This final plate is taken from Chinese Soldier versus Japanese Soldier, and depicts the fight for Teng County. 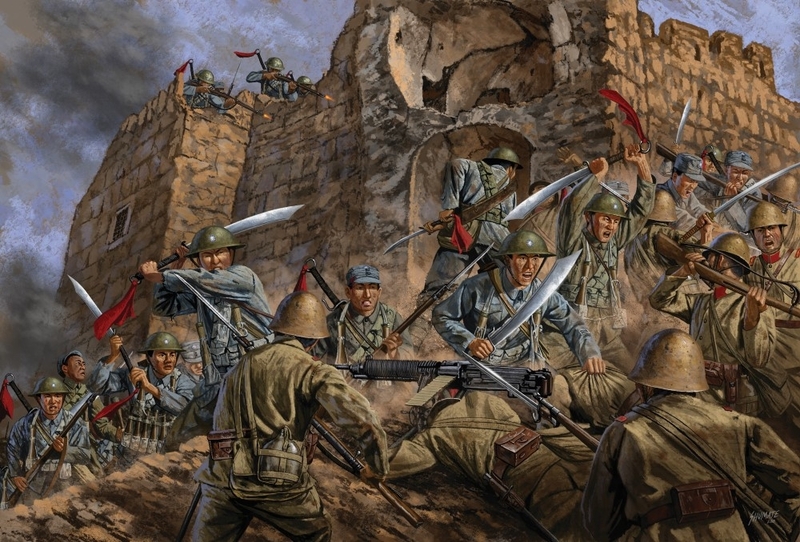 Here, Chinese Sichuan troops charge in a counter-attack against the recently breached section of their city wall. The troops were poorly equipped, and even poor in dicipline, but their determination to fight was astounding. However, despite initial success, the Chinese were defeated by the superior firepower of the Japanese. That's all of the plates we have to share with you this month, but head back to the blog next month for more artwork reveals. Also, keep your eyes peeled next week for some exciting news on our upcoming releases! Excellent work as always. I can almost hear the bugles in the second one, and the battle cries in the third one. "Also, keep your eyes peeled next week for some exciting news on our upcoming releases! Three good pictures from three books I very much look forward to reading. WOW, all 3 pieces of artwork look amazing. Very difficult to pick a favorite, both the bottom two, make you feel you are right in the middle of the battle.